This book offers clear and simple advice on how to build and operate databases as well as create simple forms, import data from outside sources, query databases for information, and share knowledge in reports. In short, it’s the book that holds all the secrets behind the mysteries of Access! 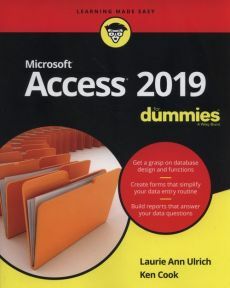 There’s no time like the present to get your hands on the insight that database beginners need to become Access gurus. Is a tomato actually red? Should you wear white on your wedding day in China? Explore how we see colors, how colors make us feel, and what colors mean in our cultures and celebrations.